The Ultimate Geolocation And Mapping Solution For WordPress! Add geographic location to any of the registered post types of your site. Display post location on a map, and create proximity search forms to search and find posts based on address, distance categories and more. Allow the BuddyPress members of your site to easily add location to their profile. Let them search and find for other members near them or near any address they enter. Create unlimited mashup maps and proximity search forms to search and find post types, BuddyPress members, and other components, based on an address, distance, categories, profile fields and more. Create unlimited mashup maps to display the location of your post types, BuddyPress members and other components. GEO my WP takes full advantage of the powerful features of Google Maps API. Allows for simple and accurate geolocation using Google maps, address autocomplete, auto-locator and more. Enhance GEO my WP functionality using the additional features provided by the various extensions. Ajax powered maps, WP users Geotagging, additional search forms features and more. Why limit yourself to a specific theme? Being a shortcode based plugin, GEO my WP has no limits and you can use it with any WordPress theme. Yes, GEO my WP is a powerful plugin out of the box. However, together with its many action hooks and filters, the options are limitless. We are here for any questions, bug reports, and new feature requests. Contact us via the support forum or the contact forms, and we will get back to you with a solution as soon as possible. Using GEO my WP plugin, together with the powerful features of Google Maps API, you can easily geotag any of your post types, BuddyPress members and more. Create unlimited advanced, proximity search forms to search and find any of the geotagged components of your site. 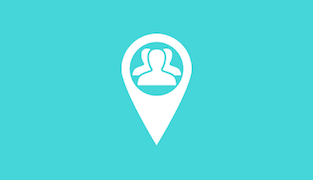 With GEO my WP, creating a real estate, events, directory, classifieds, social networking and any other type of location-based website is a simple task. Boost GEO my WP functionality by choosing from an array of sophisticated extensions. Enhance your location based search forms, widgets, and shortcodes by adding additional premium features. Making the searching experience for your website even better.